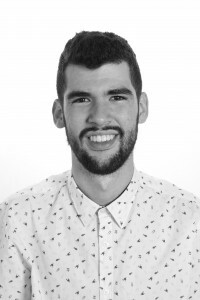 Carlos Buelga (Madrid, 1991) received his Bachelor and M.Sc degree in Mathematics from Universidad Complutense de Madrid (UCM), Madrid, in 2014-2015 respectively. He is currently studying his Ph.D. degree in signal theory in Universitat Politetècnica de Catalunya (UPC), Barcelona, Spain with a Ph.D. scholarship granted by MINECO. He is also part of communication system department at CTTC. His research interests are probabilistic aspects that appear across mathematics and various branches of data science, in particular, random matrix theory, free probability, geometric functional analysis, machine learning and compressed signal processing. He is currently studying problems of compressed sensing with special types of sparsity and phase transitions phenomena that study the asymptotic behaviour of perfect reconstruction algorithms.